Jamie’s wellness journey began after discovering the products her son was using contained dozens of toxic chemical ingredients. She did extensive research to discover healthy, natural, and organic product alternatives. However, she knew that changing her son’s skin care was simply not enough. A huge overhaul throughout her home soon followed, including all beauty and cleaning products, food, and water. After making these changes in her home, Jamie knew she needed to learn as much as possible about being healthy inside and out. This led her to pursue a degree in Holistic Nutrition. As an Esthetician, Jamie offers a wide variety of services to her clients and has a inherent ability to know what her clients need. When you book a facial with Jamie you will have a true spa experience. 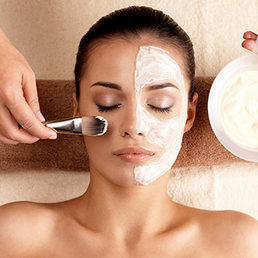 After your appointment, your skin will look amazing and you will feel fantastic head to toe. To book an appointment please call Jamie at (573) 592-9309. 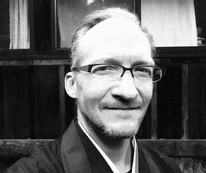 Stephen Revering, Pranic Healing, Asana and Zen Meditation Specialist, E-YRT. Pranic Healing works with the energy field of the patient . . . cleaning, balancing, and energizing the Bioplasmic Body (luminous energy body), in order to remove blockages and encourage the body’s inherent capacity to heal and regulate itself. All ailments – physical, mental and emotional, manifest in the energy body. And, this is exactly where it can be addressed, through energetic means. A Pranic Healer is trained in a thorough system of techniques to help the patient heal and find balance. Stephen has studied extensive advanced Pranic Healing with Master Stephen Co, and has over nine years experience as an Ashtanga, Vinyasa, and Multi Level Flow, Yoga Teacher. Stephen is available for private consultations in Pranic Healing, as well as Asana and Meditation. Stephen is also leading Zazen Meditations at Ignite. Please visit the schedules page at http://www.igniteyogastudios.com/schedules.html. To schedule an appointment please visit, the Ignite facebook page at https://www.facebook.com/ignitesoulyoga/app/212902018748536/ or call (928) 380-6361. Stephen Revering, Pranic Healing and Zen Meditation Specialist . . . Natascha Marler, LMT, E-RYT, CNSF . . . Virgie Ponce, BSN, Registered Nurse, Aromatherapist . . . Jamie Rudolph, Esthetician, LE, CLT . . . Jennifer Elton, NMD . . . Carolan Dickinson, Psychic Medium, Angel Intuitive, Reiki Master Teacher, Author. For more information, or to learn how to schedule please visit Ignite Yoga’s website at http://www.igniteyogastudios.com/apothecarybar.html or call the studio at (623) 374-7812.